Organized by China Electricity Council and co-organized by Adsale Exhibition Services Ltd, the 9th International Exhibition on Electric Power Equipment and Technology (EP Shanghai 2013) and 2013 International Exhibition on Electric Power Automation Equipment and Technology (EPA 2013) will be the attention-grabbing trade power event of the year. Recognized as the largest electric power and electrical exhibition in China, it will converge 1,000 leading suppliers from more than 20 countries/regions from October 30 – November 1 at Shanghai World Expo Exhibition & Convention Centre, China. Its wide variety of electric power and automation equipment across the globe and the Smart Grid Zone are deemed to be the focus for the industry. 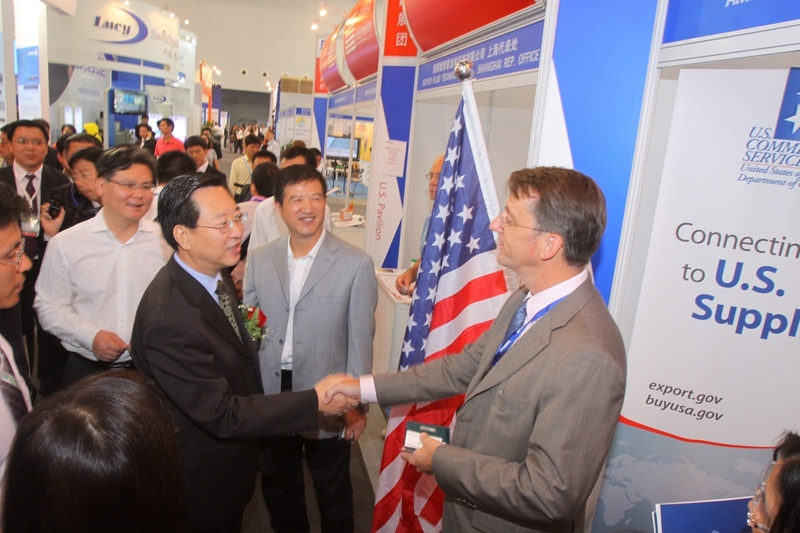 EP Shanghai 2013 will be joined by the leading suppliers with a comprehensive demonstration. For instance, 3M, ABB, Schneider, Siemens, Hyundai, Huaming, KGE, Rittal, GE, Chint, S&C Electric, Hitachi, Delixi, AE, Minghan, Multi-Contact, Ormazabal, Wika, Comking Electric, Kuyud Electrical, Supu, Bichengda Cable, Seunglim, First Mile Communications, Akson, Deca, Deba, GEA and Woer, etc. The Smart Grid Zone which features the newly technologies in smart grid construction, smart power transmission and distribution equipment, smart grid dispatching, smart energy metering and information system, will further enrich the industry players for purchase and information exchange. Exhibitors include Nari, Linbo, Huaming, Emerson, Xj Group, Boer, Advantech, Sifang Automation, Qingzhi Instruments, Phoenix Contact, Golden Highway, Weidmueller, Supu, GW Delight, Oppfly-Tech Electric, Semeureka, Jean Mueller, TDQS, Woehner, Tyco, Sicame, etc. To facilitate the business matching and discussion between exhibitors and visitors, several theme zones will be set up, namely Power Quality, LV Electricals, Instrumentation and New Energy. 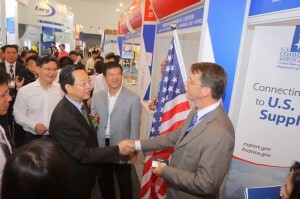 Apart from the arising number of Chinese exhibitors, there will also be many international exhibitors, including the German Pavilion (by German Industry & Commerce, AHK), the US Pavilion (US Embassy – Commercial Service), Taiwan Pavilion, (Taiwan Electrical & Electronic Manufacturers’ Association), as well as France and Singapore Pavilions. China is the 2nd biggest power consumption country and consists of the largest power grid system. Its total installed capacity is expected to reach 1,437GW by 2015, with an average annual growth of 8.4% between 2011 and 2015. China has debuted its large-scale power grid construction and the total investment in the coming 10 years will reach 4 trillion. 2011-2015 is a stage for power grid construction in which to speed up the pace of ultra-high voltage power grid construction and city rural power transmission, setting a system for running, monitoring and interaction of the smart grid. Critical technologies and equipment and applications are further explored and widely adopted. The ultra-high voltage and smart grid construction in the 12th Five Year Plan will precipitate 88% wide coverage of power grid in China by 2015, and support the connection of 90 million KW wind energy and 8 million KW solar energy under a strong smart grid.